Our self storage site at Medway City Estate, Rochester (ME2 4LT) in Kent is perfect for those looking for storage in Rochester, Chatham, Gillingham, Gravesend, Maidstone, Strood and Medway. It’s only 5 miles from the A2 down a fast dual carriageway. For maps and directions please take a look at our locations page. If you require self storage facilities close to Dartford, Bexleyheath, Erith, Crayford, Woolwich, Welling, Bexley, Sidcup, Thamesmead and surrounding areas, our site at Crabtree Manorway South, Belvedere (DA17 6BJ) in Kent is perfect. If you know how much storage you want, the detailed sizes and prices can be seen on our prices page. However assessing how much space you need isn’t easy and may not be something you have done before. The rough guide below may help, but if you need more advice please call us – we have 15 years of experience to share with you. The indicators below are guides only and if you have unusual items to store, lots of stuff in sheds, attics and out buildings you should talk to us and we will help you make your assessment. 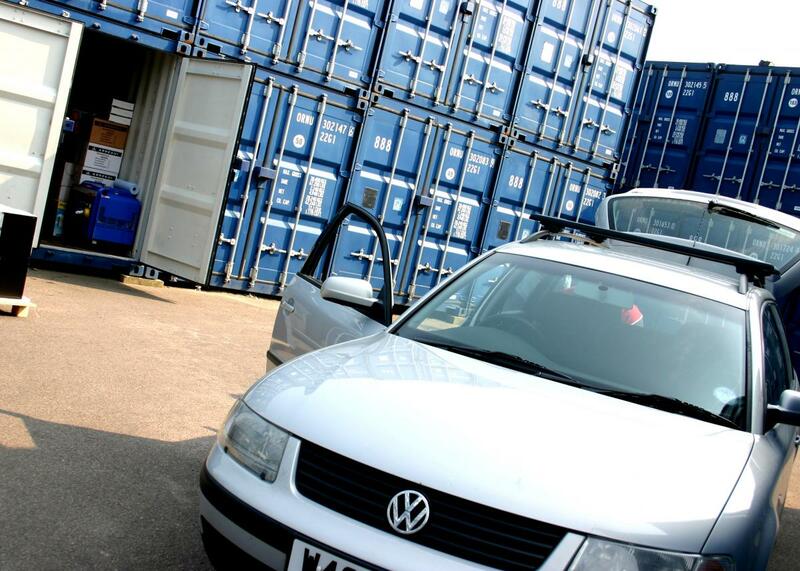 We use double skinned, steel shipping containers that will protect all your goods from all the elements. Our sites are protected by CCTV, overhead lighting, and security patrols. We have an Access Control System for the only entry and exit point into the facility, which enables us to monitor and control all entries to the site. We consider that our containers are more secure than warehouses because fire is unlikely to spread from one container to another, whilst vermin cannot move between one storage unit and another. If I need long term storage, do you offer any deals? Thames Self Storage allows people to store their goods for long or short periods without the need to commit to a time-frame. For longer term users (typically 3 months or more) we are able to offer a range of discounts for advance payment. Can I get to my goods when I want to? Once you have signed your contract, (which is done on an appointment basis to avoid disappointment), 24/7 access is automatically available to all storage users without any need for further appointments. You can have access any time, day or night, including Sundays and all Bank Holidays. How accessible is the storage area? You can drive your vehicle right up to your unit for easy loading and unloading. There are no corridors or long passageways, and no lifts. If you have chosen to store upstairs you will need to climb just 13 broad steps that take you right into your unit. What if I don’t know when I am going to leave? You do not have to decide an exit date right away. Many of our customers require a contract which is open ended. This allows you to know your storage is available for as long as you need it. Once you know when you want to leave we ask for two weeks notice and you will be charged only for the exact time you have used. If your plans change just call us and we will be flexible in organising new dates for you. What notice do I need to give to leave my storage unit? Thames Self Storage only requires 14 days’ notice of termination which can be given by phone, e mail or post or you can elect a definite exit date at the start of your contract. Will you collect my goods from my house? We offer a self storage solution, so I am afraid we do not collect or deliver goods for you. However we have got to know several good and reliable local providers and would be happy to pass on their contact details should you so wish. If you are hiring a van to organise your own transfer please be aware that at weekends the well known brand names in the van rental industry are often booked up well in advance. Moving house? Want to store some furniture? Decluttering? Need your garage back? Seasonal storage needs? Warehouse over full? Need secure storage? Need a flexible, affordable Archiving service? Do you need file retrieval as well?